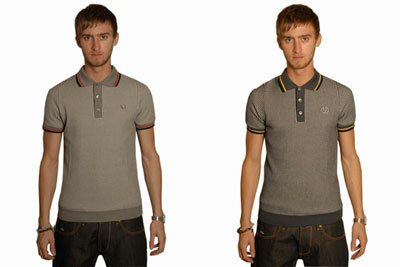 Something of a holy grail for vintage clothing spotters, the Fred Perry knitted polo shirt is now back on sale. Looking almost identical to the originals, the textured shirts are made of a cotton/acrylic mix, with ribbed hem and cuffs and a choice of detailing – black/yellow or black/red. I’m guessing these also wear better than the vintage ones too – which had a habit of losing shape after just a couple of washes. The new versions retail for £99.